Albany, NY – September 10, 2018 – Blasch Precision Ceramics, Inc., a ceramics manufacturer headquartered in Albany, NY along with its South Carolina branch, GSP, are pleased to announce that both locations have been ISO 9001:2015 certified as of Friday, August 13, 2018. The headquarters location in Albany was previously ISO 9001 certified in 1998.
International Organization for Standardization (ISO) 9001:2015 is a revised set of requirements for a business’s quality management system with the goal of helping it to be more efficient and improve customer satisfaction. 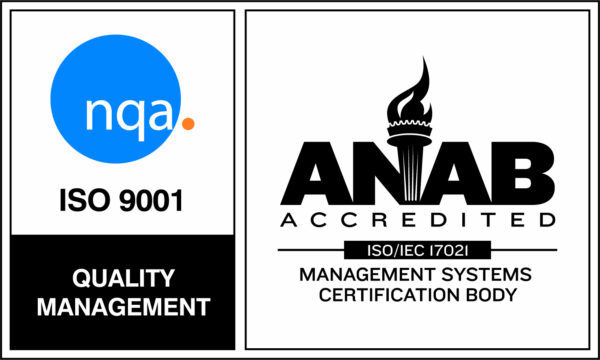 More information can be found in Moving from ISO 9001:2008 to ISO 9001:2015. Blasch chose to do a full update to their previous their system standards, and to include the growing GSP division in Beaufort, South Carolina. The result is a solid system that passed the NQA registrar audit with the best results ever recorded for Blasch while establishing a solid risk management system, procedures that support their systems, and work instructions that employees can use as an effective training tool. The framework that was established focuses on customer satisfaction, as the company continuously improves in support of its Core Values. “This was not a small feat, and it surely took a large effort, but the company is better for it, and our customers value the credential,” commented Jack Parrish, President and CEO of Blasch Precision Ceramics.